Want An Easy Way To Keep Your Dog Happy And Healthy In Less Than 10 Mins A Day. Many experts say that lack of exercise is a leading cause of hyperactive and destructive behavior in dogs. This item works by converting the natural prey drive instinct in dogs into exercise as they attempt to catch the lure by sprinting, changing direction and jumping. The dogs went crazy chasing the lure. Also works great as a training tool and provides the mental exercise dogs need. 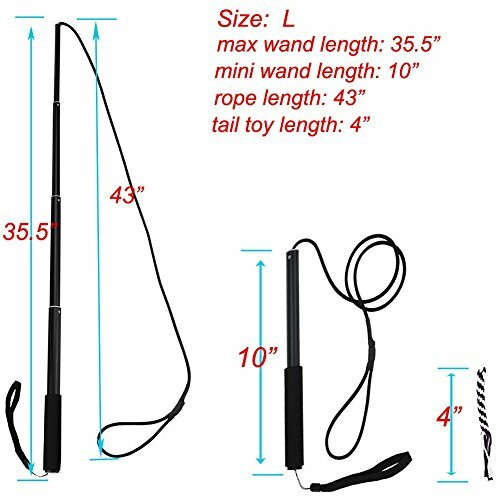 The Stretchable Wand with a rope which is funny and preventing accidental scratching wherever possible. The stretchable design save space and easy to take out. An excellext outdoor play toy for your dogs. Note: Each package include 1 rope only. 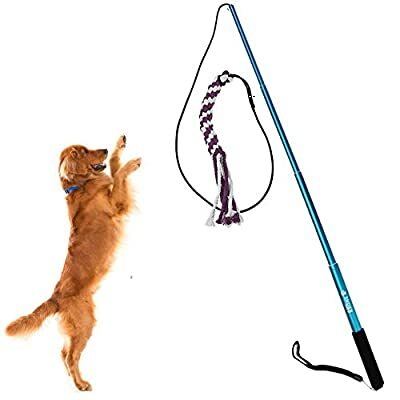 This is a catch and release toy designed for exercising you dogs mind and body not for your dog to pull your arm off playing tug. 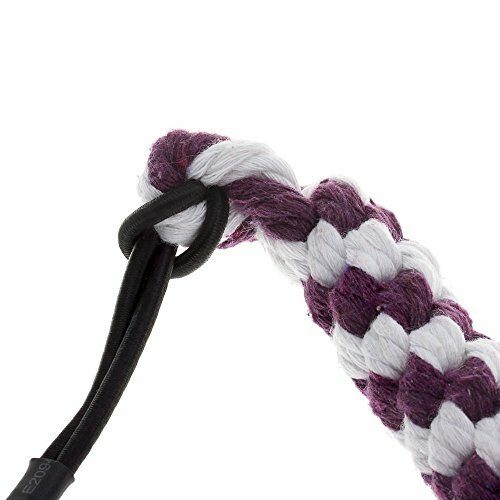 DO NOT try to push out the rope from the dog's month when your dog is chewing the rope. Be awared that dogs like chewing the toys and they have great strength. Not like humam beings, when they chew the toys, they can hold the toys in their mounth very tightly. The elastic maybe break if misused. If you use it responsibly....and gently....You won't see a problem with it. It's kept dogs busy for hours and you won't see the hazard in it. When the dog pulls too much for the rope, you may change the direction, it will be funny and prevent the dangerous happen. Keep you dog happy and health: Play with your dog ,jumping,running,funning. This is a catch and release toy designed for exercising you dogs mind and body not for your dog to pull your arm off playing tug. DO NOT try to push out the rope from the dog's month when your dog is chewing the rope. The elastic maybe break if misused. Just use it responsibly and gently. 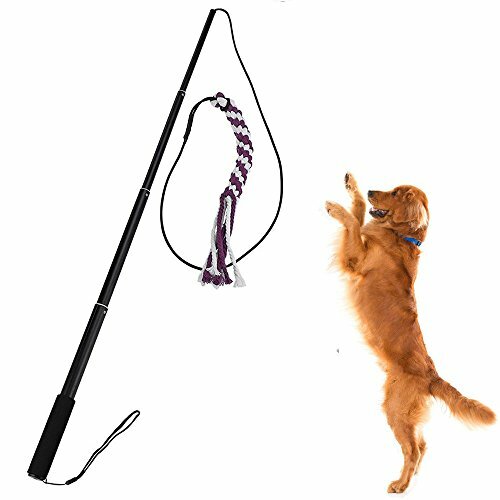 Easy to carry and storage: Extendable Collapsible pole and Removable tail toy,you can play with you dog everywhere. Replaceable tail toy keep your dog keep freshness: you can change another toy on the tail. 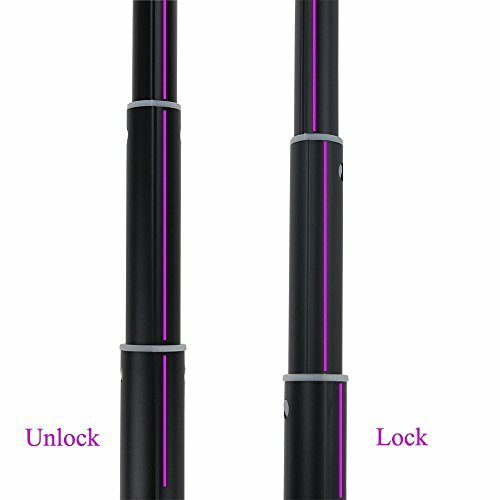 2 size and color of pole for your choose,suit for your lovey dog ,cat and other pet. 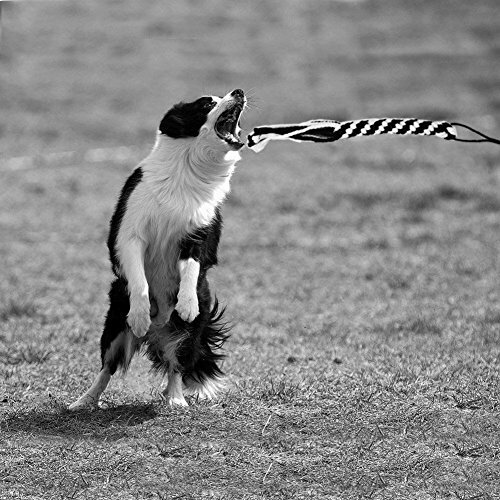 works great as a training tool and provides the mental exercise dogs need. The length of the dangler keeps little fingers far away from sharp claws, preventing accidental scratching wherever possible.